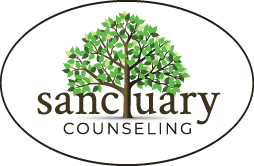 Category: Uncategorized | Sanctuary Counseling, LLC. Can you believe that 2017 is almost over?! It seems like ten minutes ago that we were doing this whole “ringing in the new year” thing, and now 2018 is just around the corner! You know what that means – we can start counting down the seconds until people start probing with “what’s your New Year’s resolution?” And as soon as the question pops up, like clock work, people start pledging to lose weight, quit smoking, make more money, and various other fill-in-the-blank self improvement strategies. But here’s a fun fact: only 8% of people actually stick to their resolutions. I’m not sure about you, but I am not part of the 8%. That’s why this year I’m resolving to quit resolution-ing. I have failed to stick to a resolution for as many years as I can remember making one, so I’m going to err on the side of probability and assume this year won’t be any different. But that doesn’t mean I’m just not thinking about what I want from 2018. I’m just going to think about it differently and in a way that more accurately represents what I want my life to be like in 2018. And if you’re not in the 8%, maybe you will consider joining me. I want to challenge you to think about your values – a value evaluation, if you will. Values are what make us who we are. They are what guide us to make decisions. They are what motivate us. They are what help us live lives that are authentic and fulfilled. 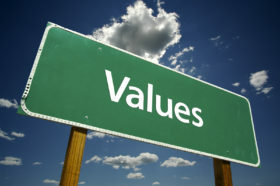 When we are not aware of our values, some of these things can slip. When we are mindful of them, they can be enhanced. 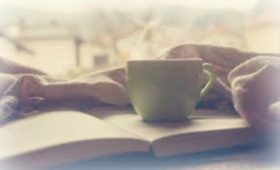 Living more consciously in the realm of values could make 2018 your most fulfilled year yet – no resolution required. 1. Identify your values! I’ve included a list below of some things you might consider values. On a piece of paper, write down the things that are values for you. This is not a comprehensive list, so feel free to identify values that are important to you even if you don’t see them below. 2. Define your values. Take some time to write a few things down about why you value the things you identified. What’s so important about friendship to you? Why does your life feel more complete when you’re making creativity important? How does knowledge make you feel whole? 3. Live your values. Write a few sentences about what these values look like in your everyday life. How will you know if you’re honoring adventure in your life? In what ways can you be mindful of balance from day to day? What does it feel like when you’re practicing consistency? 4. Value Roll Call! Check in with yourself from time to time about how fully you are living your values. Maybe you have the words written on a notebook that will remind you to think about them. Or maybe you put a monthly reminder in your phone so you remember to take a few seconds to mull them over. Do whatever works for you and incorporate them in a way that feels right.